Follow-along letters feature lightly colored lines and numbered arrows to show students where to begin and end. Have your students trace their letter on the dry-erase surface and just wipe them off to start over. 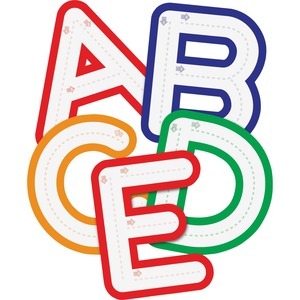 Giant letters are perfect are for teaching elementary handwriting and reinforcing letter-recognition. Follow-along letters are designed for children ages 4 and above.